This week’s app roundup is a feast for the senses. Love to laugh, talk, or eat? We’ve got something for you. Already this week, Macworld’s Philip Michaels told you about the official apps for the Masters golf tournament. (There’s still time to download the free iPad app, as the tournament continues through the weekend.) Michaels also brought news of updates to the Hipmunk travel app—it incorporates your iOS calendar so you can see if flight times conflict with other items on your schedule. And our roundup of ways to watch Major League Baseball on digital devices includes a look at the latest version of the MLB At Bat application. Also, the week saw updates to old favorites like Nook, PDF Expert, and Facebook—all of which were upgraded to take advantage of the new iPad’s Retina display. And adventure game Hero Academy upgraded from an iPhone-only app to a universal offering also compatible with the iPad. Air Display: With the launch of the new iPad, developers have been busy upgrading their iOS apps to look great on the tablet’s Retina display. But Avatron Software’s update of its $10 Air Display app merits a special mention for one reason: It now lets you use your iOS device’s high-definition screen as a second display for your Mac. To take advantage of this, you need a Mac running OS X Lion and a Retina iOS device; turn on HiDPI mode on the Mac and desktop elements render at double resolution—which Avatron says has been meaningless until now, since Mac displays weren’t high-resolution enough to show the difference. The Retina display, developers say, “brings HiDPI to life.” Your iPad will help you see your desktop display like never before. 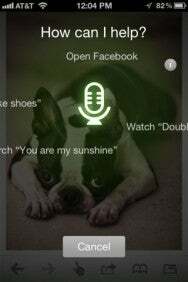 Dolphin Browser: With the advent of the new iPad’s Retina display, the wonderment at Apple’s last marquee feature—the iPhone 4S’s voice-activated Siri assistant—has diminished somewhat. 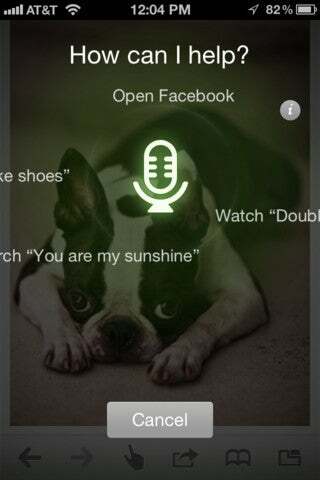 But developers are still looking for new ways to utilize the iPhone’s voice-command capabilities. Enter the latest update to MoboTap’s free Dolphin Browser app. Shell out $1 for the Dolphin Sonar upgrade and you can navigate the Internet by talking to your phone. Shake the iPhone or press an onscreen button, and you can command the browser to search topics, bookmark websites, and share them on your social networks. Evernote Food: iPhone-using foodies have spent the last few years tweeting pictures of all their great meals to the rest of the world: Evernote Food lets them—and you—preserve memories of that great taco truck in a single databank, in perpetuity. When it was first released in December, the app was a stripped-down affair, letting users photograph meals and tag the photos. 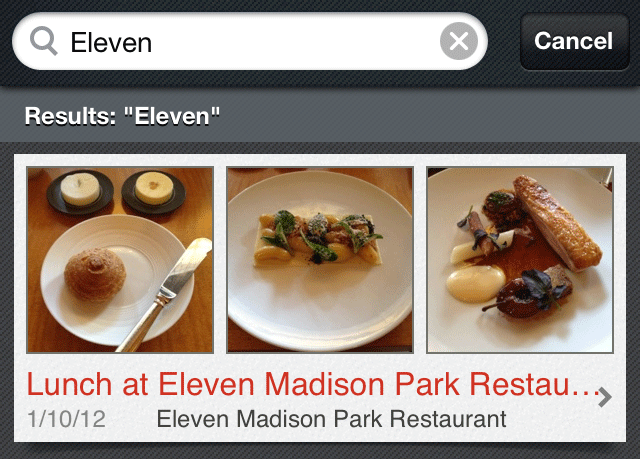 This week’s update adds a ton of new features, including a search tool that lets you find old meals more quickly, a location search to help you find great restaurants, and a My Places tool to help you remember your favorite eateries. Bon appetit! Mad Magazine: What, me worry? Alfred E. Neuman fans can finally rejoice—Mad Magazine is now available as an iPad app. The digital version of the magazine includes classic features like “Spy Vs. Spy,” the back page fold-in gag, and Mad’s irreverent take on modern pop culture. While back issues of the magazine are static duplications of its print version, new issues after April 2012 will include interactive comedic elements. Users can buy a single back issue for $2, the current issue for $5, or buy a $10-a-year subscription.